Though it’s currently impossible to return to the 1970’s to experience the golden age of rock-n-roll, bands of the present and surviving groups from that era still try to perfectly replicate that period of history through their music. One of the latest and most noteworthy attempts to accomplish this comes in the form of Travelin Jack. First formed in Berlin in 2013, this relatively new group aims to be the ultimate homage to 70’s rock-n-roll. 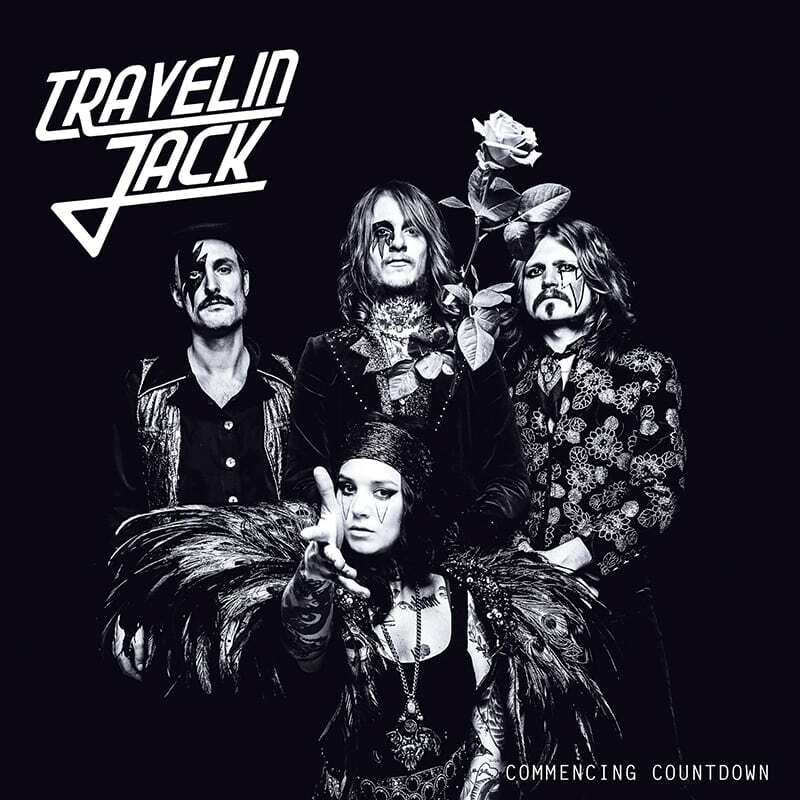 Not only does Travelin Jack near-perfectly capture the trademark sound of 70’s rock through its performances, they go further though in applying the unique gimmicks and trademarks of the era to their group. Practically everything is used from outrageous makeup, extravagant costumes and even unique stage names. But it’s their live shows that truly reflect they have gone all out to make it feel like a 70s concert for audiences of the 21st century. Steve Burner, the band’s bass player, guarantees concert goers can expect great shows. Burner is able to partake in such shows due to his friendship with the group’s lead guitarist Flo ‘The Fly’ Kraemer. Kraemer was still writing the band’s first songs with lead vocalist and guitarist Alia Spaceface before approaching Burner with the terrific opportunity to help out. Another friend of Burner’s, Montgomery Shell, joined soon after as the group’s drummer. With the band formed and dubbing itself Travelin Jack after a central character from the Stephen King novel “The Talisman”, the four quickly went to work in entertaining audiences throughout Europe. Europe has been the exclusive stomping ground for the group since 2013. Past shows have taken place largely in Germany with some side stops in places like Sweden, Italy, Denmark, Austria and Holland. If you’re wondering why they’ve yet to entertain live audiences in the United States, it’s due to the group’s lack of money and, of course, restrictive geopolitics. This handicap has made the group rely on their albums to gain them international exposure. New World, their first album, was released both in Europe and overseas in 2015. Their follow-up and current album, Commencing Countdown, shall be given the same treatment once released on Sep. 8. Those wanting to enjoy an early taste of the album can view the official music video for the song “Keep on Running” online and buy it as a digital single. Burner isn’t ashamed to admit that the band’s second album sounds much better due to all band members working together on it. Yet while their albums are the only way Travelin Jack is currently able to share its 70s style rock outside Europe, Burner and his bandmates have tried to make the best of their situation. This has been made easier thanks to an armada of European rock-n-roll fans. For example, Burner cites the final location of the band’s current tour. Until that final destination is reached and their work is completed on promoting their upcoming CD, Burner says he and his bandmates don’t intend to wrack their brains on the future but on the present. He and the other players of Travelin Jack have one primary goal they wish to focus on.